Nearly 70 percent of Botswana consists of the Kalahari desert, and mixed right in the middle are several salt pans. 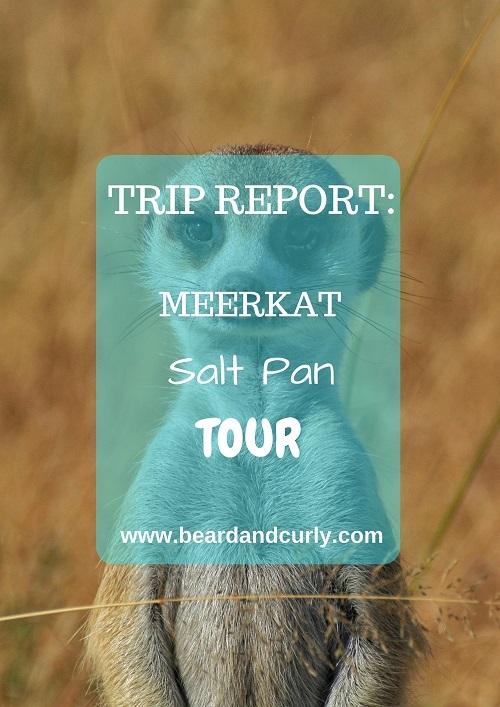 Home to the rare and unique meerkats as well as many other animals, the salts pans offer a unique overnight experience. 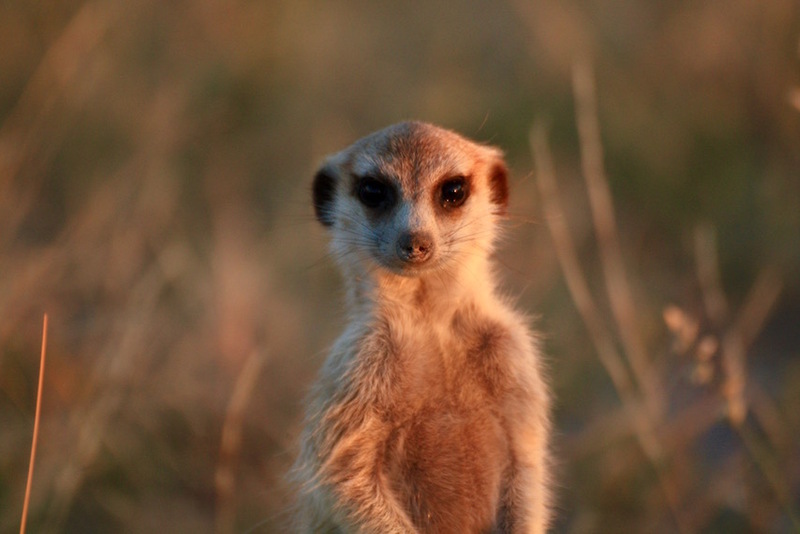 A meerkat adventure in the salt pans will be to sure leave lasting memory of Botswana. Central Botswana is a unique area with several massive salt pans. 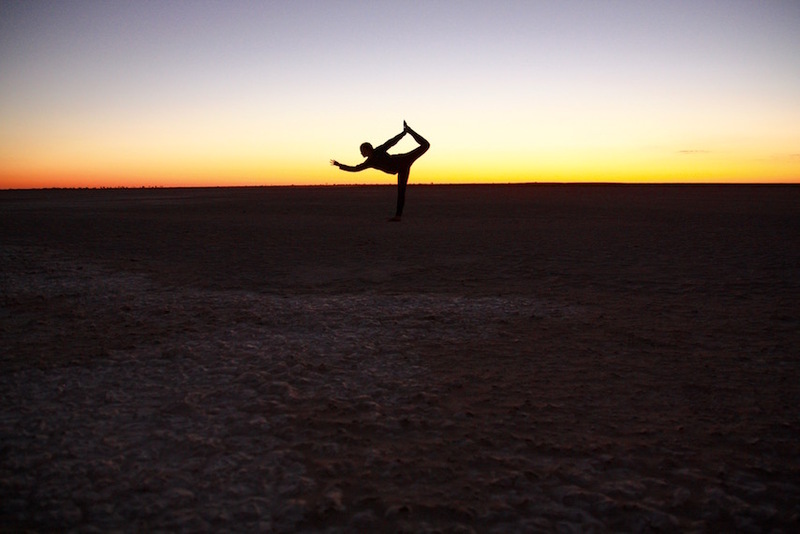 The Nwetwe Pan, Sua Pan, the Makgadikgadi and the Nxai Pan are all neighbors, yet distinct in their own way. 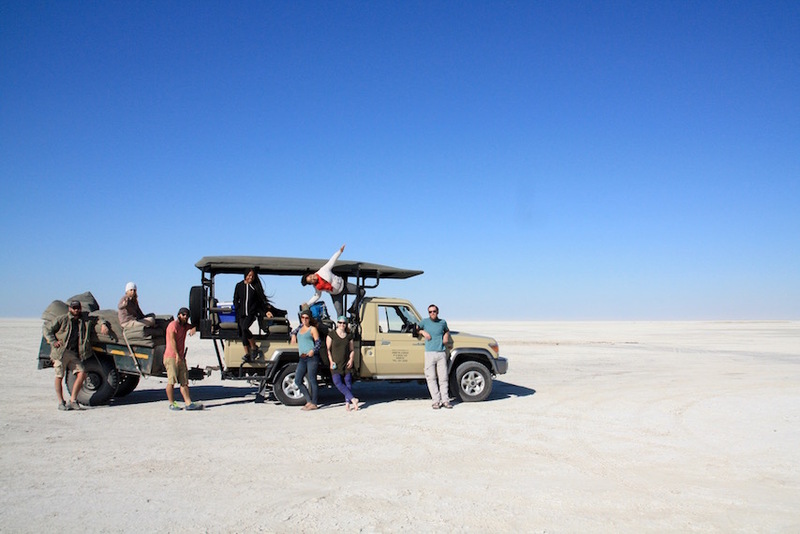 A 4×4 vehicle is required to visit the Makgadikgadi Pan and Nxai Pan National Parks. While a salt pan is typically barren, these have an abundance of wildlife, including large game. 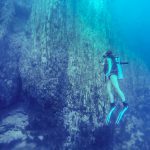 The beautiful Kubu Island is a popular destination, located within the Sua Salt Pan. 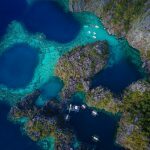 This unique island in the middle of the pan is a great place to camp overnight. 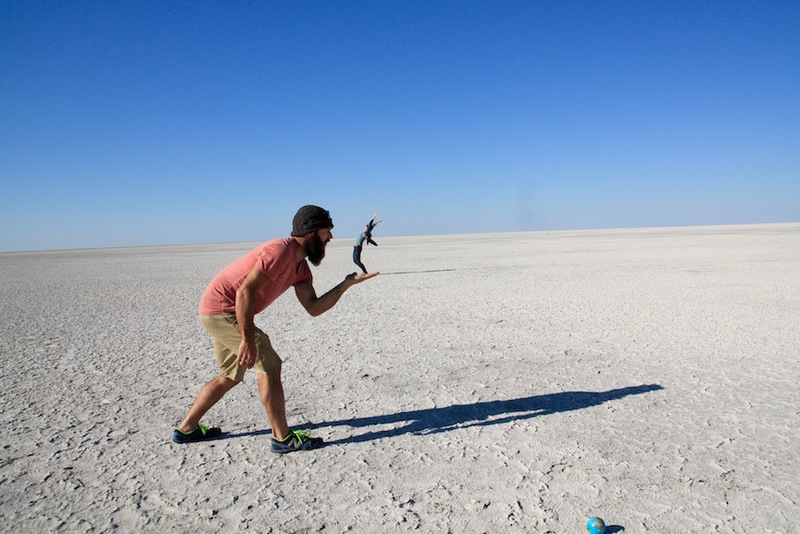 Gweta is the base for most of the salt pan activities. We stayed at Gweta Lodge, where the owner’s son James and his team will make you feel right at home. Gweta Lodge can arrange for private or group tours. They have excellent prices and have a fun team. Prices for camping start at 90 Pula per person and rooms start at 500 Pula. Gweta Lodge arranged an awesome tour of Nwetwe Salt Pans for us. It included personal time with the local meerkats, Yana’s all-time favorite animal. This tour starts in the afternoon with a quick stop at a large baobab tree. The meerkat colony is around 10 meerkats. 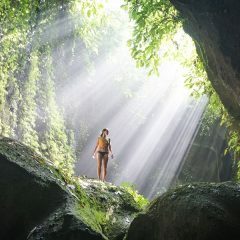 Each day a human tracker follows their movements. We were able to get up close to the meerkats, as they do not see humans as predators. 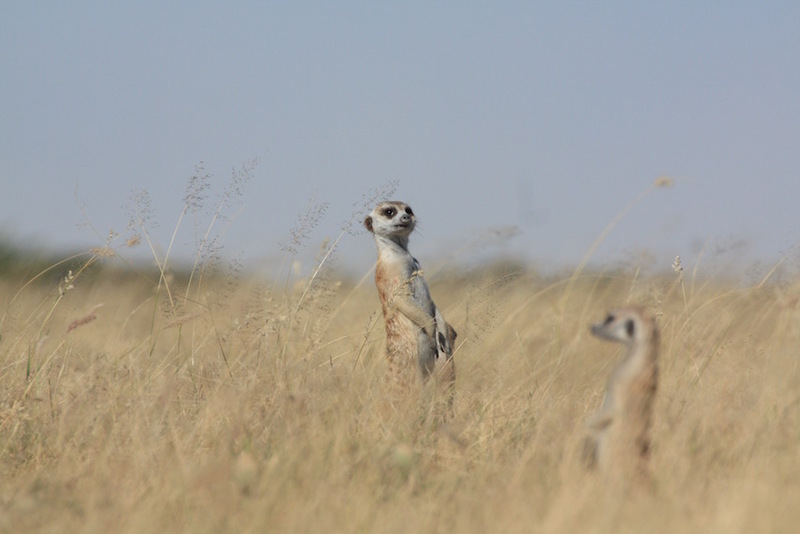 One meerkat will always be on the lookout for land and air predators and the rest of the colony scavenge for food. They continue this while switching roles and roaming the prairie until nightfall, where they burrow in a hole and call it a day. Witnessing their unique and adorable tendencies was our favorite part of the tour. 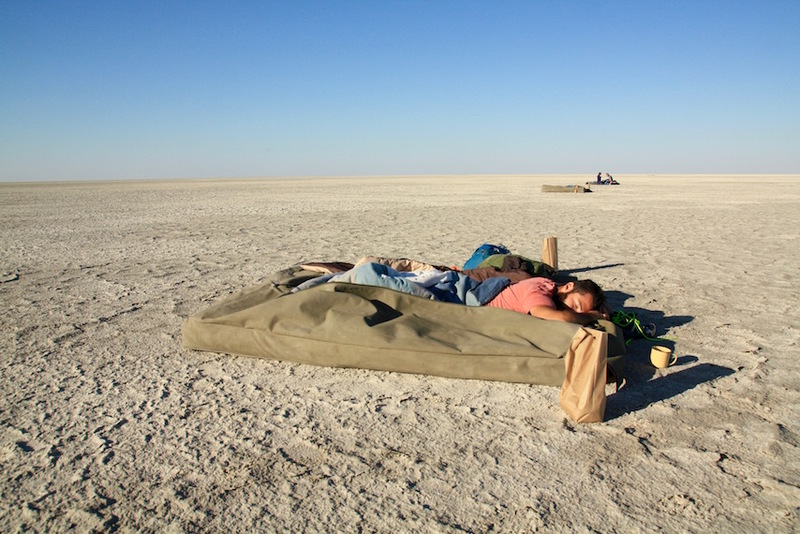 Afterwards, we walked from the edge of the salt pan to your camp set up for the evening. The crew set up a campfire and already arranged your bedrolls for the evening. We enjoyed drinks around the campfire before an excellent 3-course meal. Following dinner, we slept under the stars in our personal bedrolls. Due to the reflection of the salt pans, the sunrise is incredibly bright. 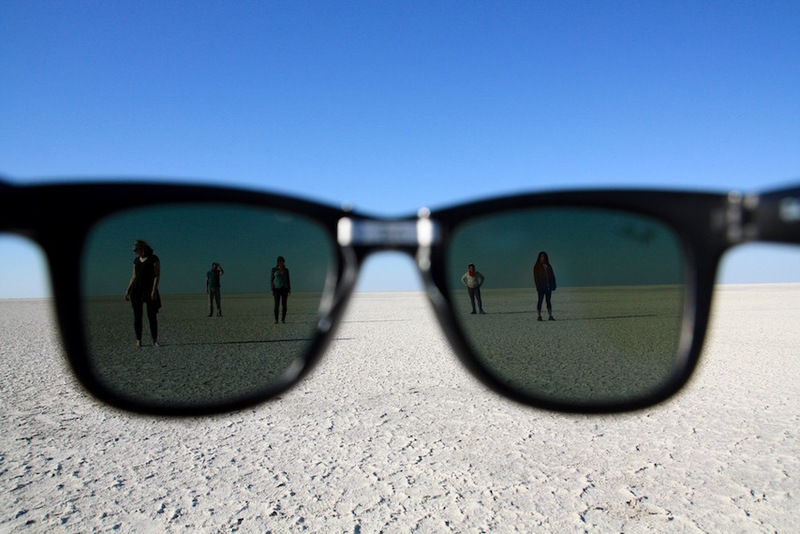 We enjoyed some last-minute photography on the salt flat before heading back to Gweta. 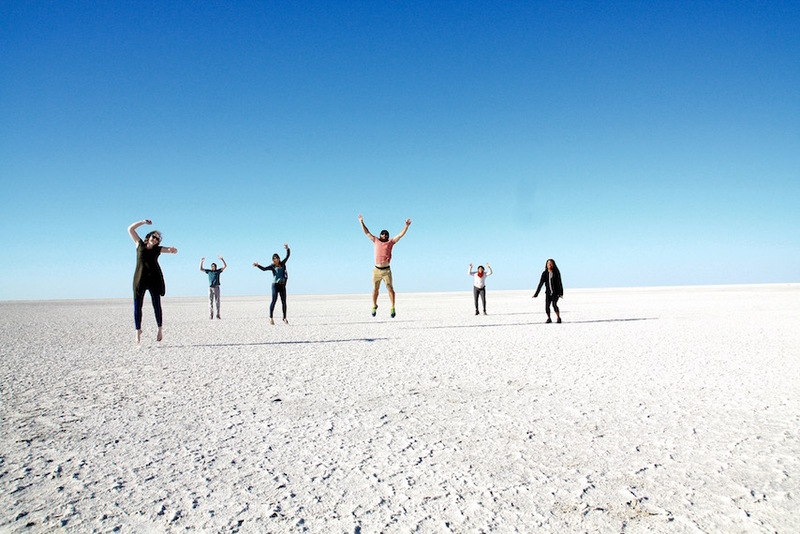 The overnight Salt Pan Tour is 1200 Pula per person with Gweta Lodge.